The April The Way To Go is Now Online! Seventeen-year-old Gracie Himes, of Bristol, Indiana, graces this month’s cover of The Way To Go. Learn about this hard-working youth exhibitor in this month’s Cover Story. NSBA looked at the state of the horse industry through the statistics of alliance members, the American Horse Council and NSBA’s own records in “Statistically Speaking.” In this issue, you’ll also get to know the 2017 Horse of the Year, Made N The Shade as well as meet the high point award winners from the 2017 show year. 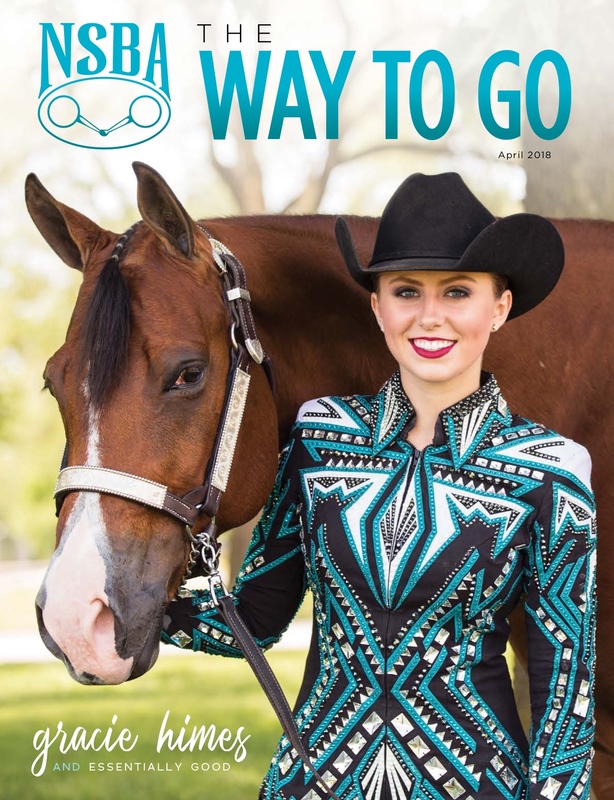 The Way To Go recaps last month’s Riders Cup event and spoke with several of the show’s champions, and also shares the results of the NSBA Foundation’s Donkey Races fundraiser. In keeping with this ‘statistical’ issue, Stephanie Lynn discusses how exhibitors can use statistics from the show pen to grow and improve. All this and more in the April issue of The Way To Go!